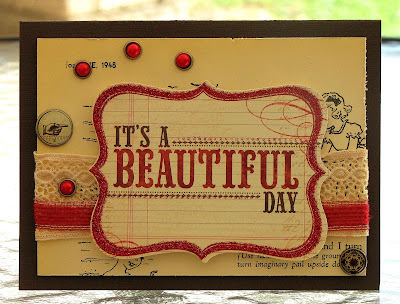 "It's a beautiful day" is the sentiment in the card I created for this week's sketch reveal at Let's Scrap. 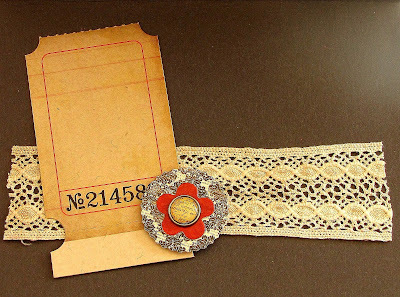 I got some papers and embellies from this collection in this month's scraproom kit and my mouth started watering as soon as I saw them! They are just gorgeous. Not too sure what I'll do with the papers yet, as I don't want to waste them, they are too yummy. 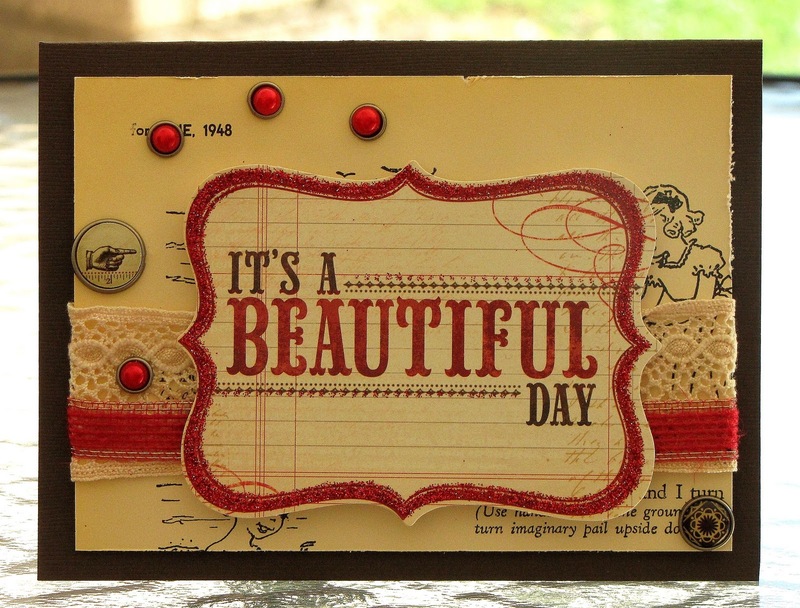 That's why I decided to use this little die cut as the sentiment in my card. Not too much space to write on, but you could always tuck a little note in the trim if you are going for a longer text. Always love your cards Caro! Again: Thisi s such a pretty one. The inside is just as pretty as the outside. Great take on the sketch. Very pretty! The colors are great and i love the way you did the inside of the card! Caro, your papers are embellishments are beautiful!!!! Totally love it.